An old Waterous boiler was in the news recently during the renovation of an old apartment building that in earlier years had been an Eaton store, at 90, Colborne St. E. in Brantford. The boiler was part of the old heating system in the cavernous basement. The building was rebuilt in 1915 after being gutted in a fire and the boiler was installed sometime later. 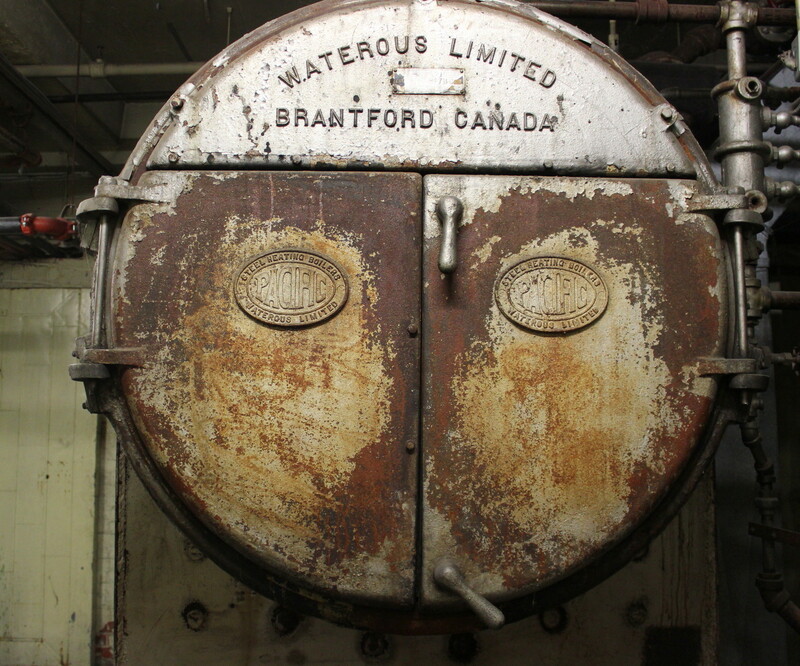 The name cast into the boiler door shows “Waterous Limited”, indicating it was made some time after 1926, the year when the company name was changed from “Waterous Engine Works” to “Waterous Limited”. The new owners retained the old doors from the boiler, cleaned and repainted them. 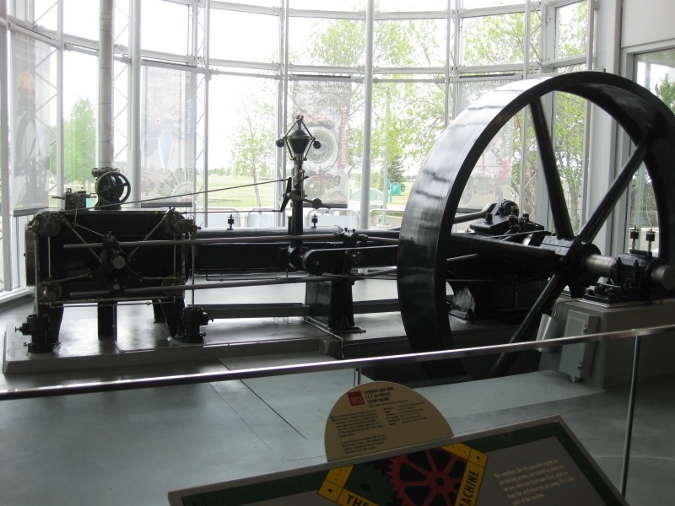 They now adorn the foyer of the renovated building in recognition of this venerable old company that is an integral part of Brantford’s industrial legacy. 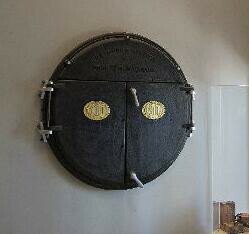 You can read more about the Waterous company in my book “Iron, Steam and Wood”. On a recent visit to the Waterloo Regional Museum, I had the pleasure of being escorted around the museum’s storage warehouse, an area one could spend hours investigating. What did I see – an Adams wagon with its original paint job and logo – somewhat faded. When I checked the serial number, and went back to my records, I found that it was made around 1885 in the Paris factory, some fifteen years before they moved to a new factory in Brantford. 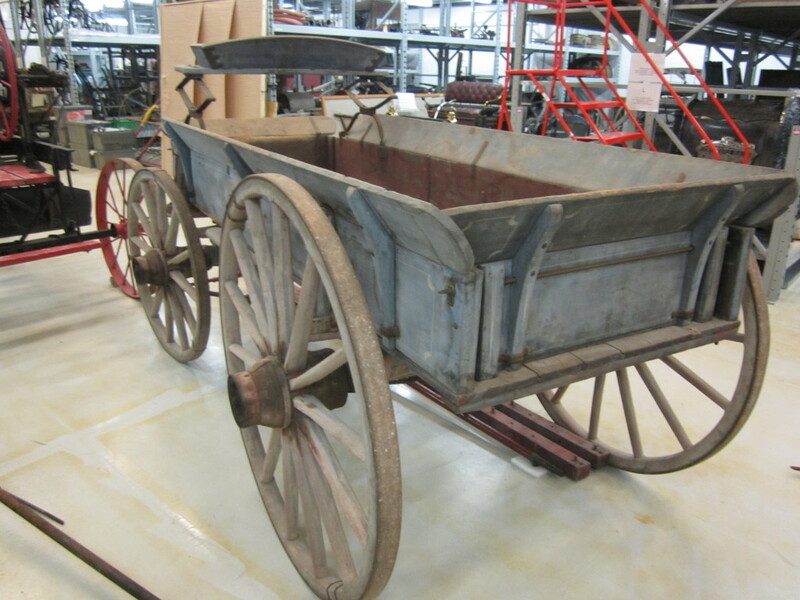 This is the oldest Adams wagon that I have seen, or have knowledge of. And it was in completely undamaged condition. Look forward to when the museum sees fit to put in in a display in the public part of the museum.